Earwigs are striking little numbers, about 12-20mm in length. They are smooth, shiny, dark chocolate brown, with sensational pale yellow legs, shoulders and pincers! Oh yeah, they are as gorgeous as they sound… and they don’t actually crawl into peoples ears! They love organic matter… sheltering in it during the day, cosy with all their friends! Night time is their time for getting busy and they just adore eating out. They will pretty much try anything you’ve got in your garden! They particularly like fruit, vegetables and field crops, but will also go for zinnias, roses and dahlias. They feast on the roots of seedlings, mosses and lichens. They particularly love it when you overwork your garden reducing the bio-diversity. 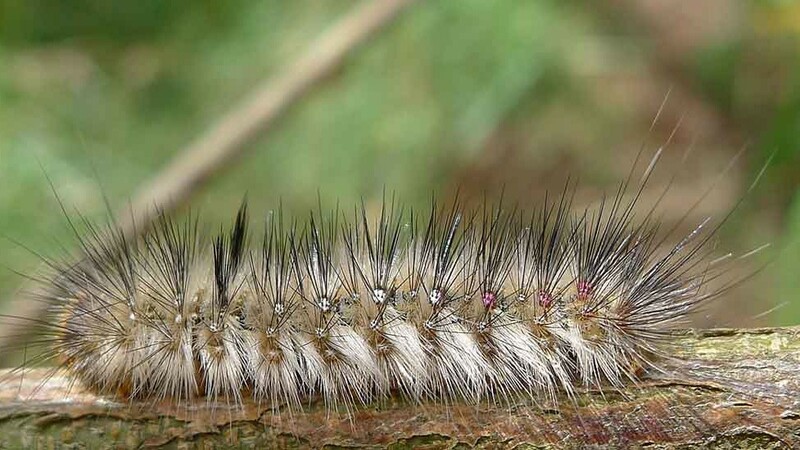 They enjoy cool, moist weather, especially in spring and autumn. Birds and lizards will help to keep them under control, and they hate a really clean and tidy garden with no hiding spots. 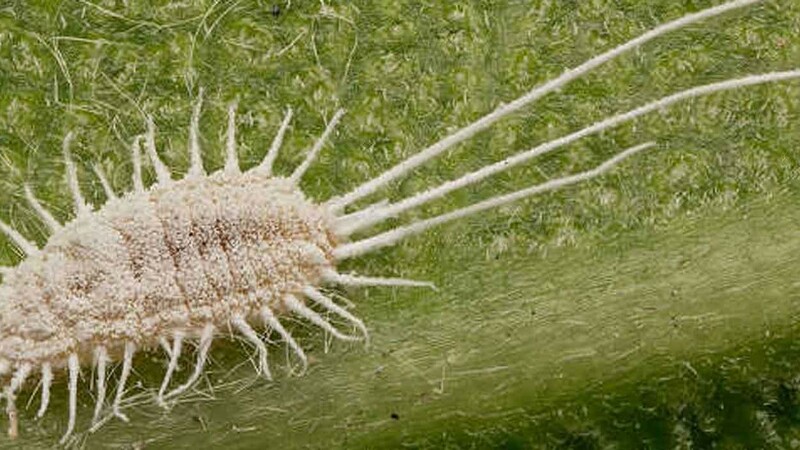 You’ll know you’ve got an earwig problem when all your plants’ growing tips, stems, flowers and fruits have lovely gouge marks and nibble spots in them. They love to munch seedling roots, and can destroy a bed in a single night. 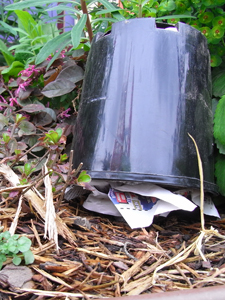 Set up an earwig trap – grab a few clear plastic takeaway food containers (with lids), tip about 3 – 4mm of pure linseed oil into the bottom of each, punch several 5mm holes in the side of containers (above the level of the oil, but below the lid) and position these traps in the mulch, around the plants being attacked by earwigs. Go to bed, and check the traps the next morning – you will be amazed how many earwigs you will capture during the night! Empty the traps, refill, and re-position for an earwig-free existence. Set up a trap, using an upside down pot stuffed with newspaper or straw… I can’t resist these. Place a dish of vegetable oil, buried up to the rim, near your seedlings. I love it but it’s not good for me. Let your chooks scratch about in the garden for a while (just make sure the chooks have had a nice big feed of greens first!). Clean up any detritus and junk around the garden. Create a diverse garden. This encourages predators… enough said! Half fill a jar with beer and lay it on its side where I am most active. I love beer, but when I drink it I die. Banner photo: David Short, UK. 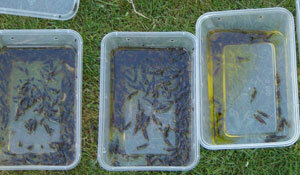 Pic 2: Linseed oil earwig traps and their victims, after only one night! Amazing! Photo courtesy of Tom Ahrens (keen Melbourne gardener! ).